Fig. 1. Attr. 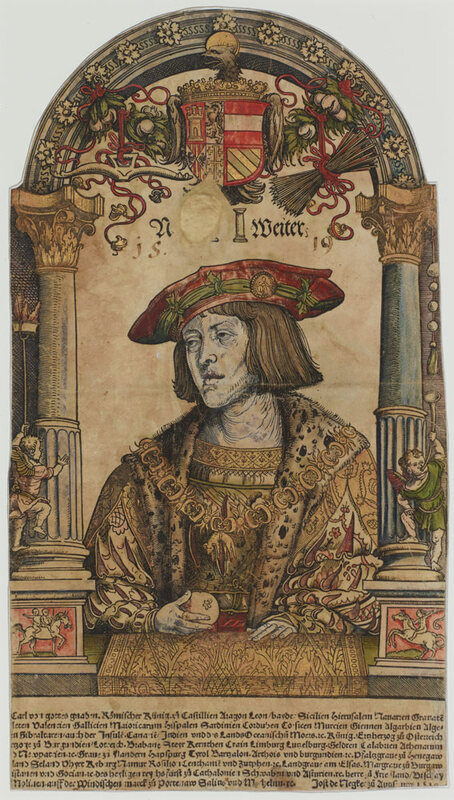 Hans Weiditz the Younger, Holy Roman Emperor Charles V (1519), woodcut on vellum from two blocks (gold, black) with hand-coloring, 35.6 × 20.3 cm. 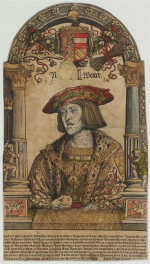 Printed by Jost de Negker, Augsburg. The British Museum, London, 1862,0208.55. Image courtesy of the Centre for Heritage Imaging and Collection Care, University of Manchester and © The Trustees of the British Museum.